Nampodong street has some of the best food in Busan, South Korea. 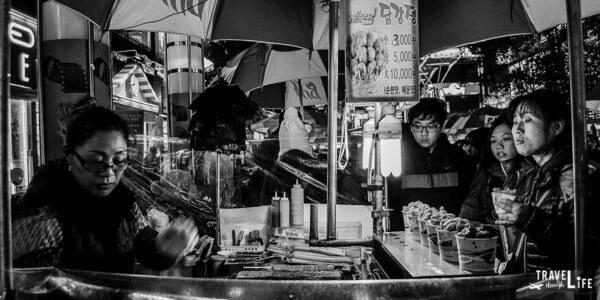 The neighborhood is a major purveyor of street food in Busan (pojangmacha) and well-known throughout the rest of the country. If you ever get to visit, (accessible via Busan Subway, Line 1) you’ll find one of the most delicious selections of Korean food. Our walk through this awesome neighborhood will give you a glimpse into the action and might just convince you to travel for local food. Check the best prices on hotels and flights to Busan before you go! 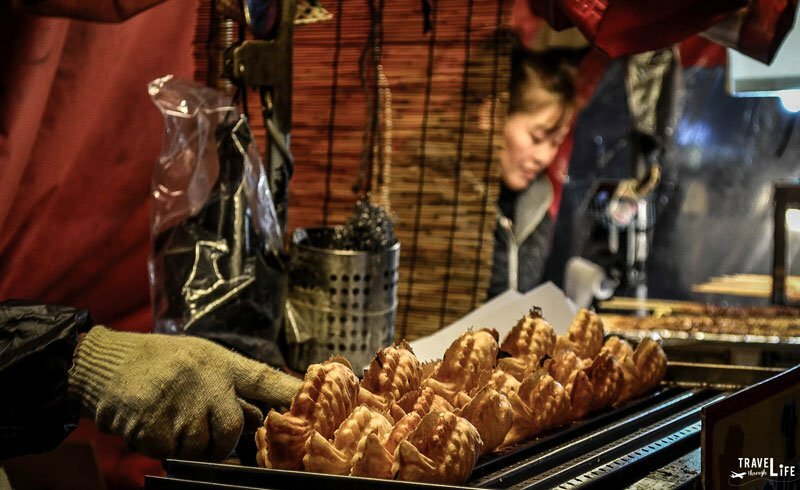 This Nampodong Street guide is part of our series on Food Travel, South Korea Travel, East Asia Travel, and Asia Travel. It was originally created on April 9, 2015. It has been maintained and updated (as of December 27, 2018) on our blog to reflect current viewpoints and travel destination trends. 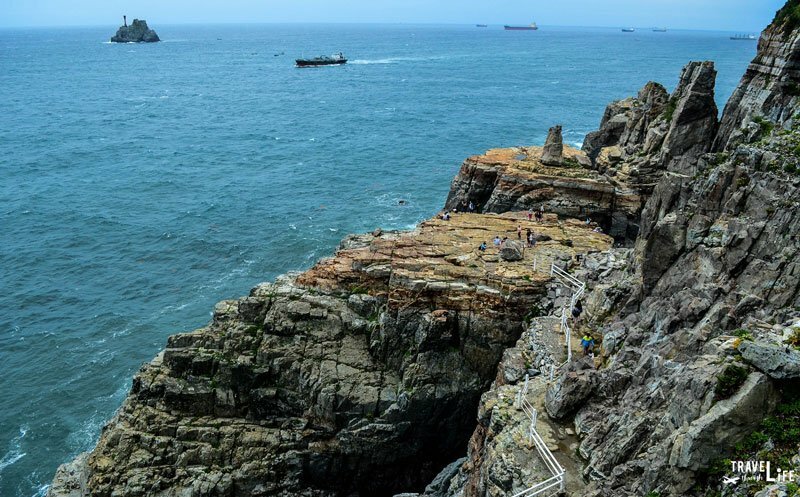 Locals know about Nampodong and will say visiting the area is one of the most fun things to do in Busan. There are quite a few highlights in the area, including Gukje Market, PIFF Square, and lots of shopping options. If I were to live in Busan, Nampodong is where I’d start when searching for a home. That’s not just my belly talking. Cities with this many options require neighborhoods to push harder in order to stand out. If you’re lucky enough to visit Korea during the winter, Nampodong is also fun for its Christmas and Holiday light displays. Instead of booking a hotel in Busan’s other neighborhoods, there are some great hotel options in Nampodong. We typically stay at Comma Hotel, which is right in the middle of the shopping and cozy enough for at least a night in the heart of Busan’s food scene. Nampodong street food covers all bases, with foreign influences mixing with Korean cuisine and demonstrating a culinary opening to the outside world. Korean specialties like tteokbokki, Korean sausage and that fish-shaped bread (bunggeoppang) everyone devours in the winter. Purposely, no seats are available even though some might interpret nearby trees as places to rest. Violators are quickly forced to stand—a cue to either buy more food or make room for the next person. The vendors maintain calm as people methodically surround them. An eager anticipation and buzz surround these stalls as if something special was always on the verge. Eyes widen and smiles grow as hungry appetites receive the care they require. Wonderful creations simmer everywhere, as these culinary wizards kept the crowds at bay. 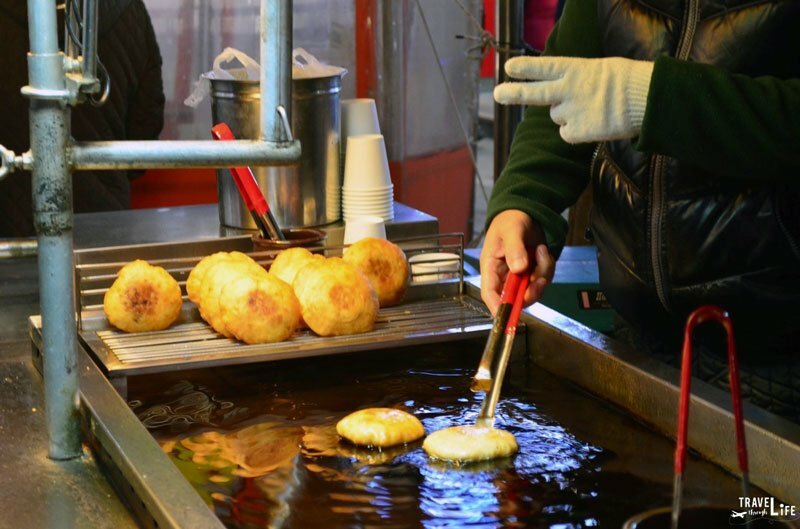 Want to eat delicious Korean street food before you visit? Check out this Seoul Food Korean Cookbook by Naomi Imatome-Yun! While spending so much time watching the other people camped at various stalls, my belly grows full. Somehow along the way, I unknowingly join the madness and eat my way towards a pending food coma. A sausage here and some spicy chicken there, and I can’t eat anymore. Those ladies working at Nampodong create a monster in me and perhaps they know I’m leaving Korea. Nampodong’s pojangmacha certainly demonstrates its might yet again. 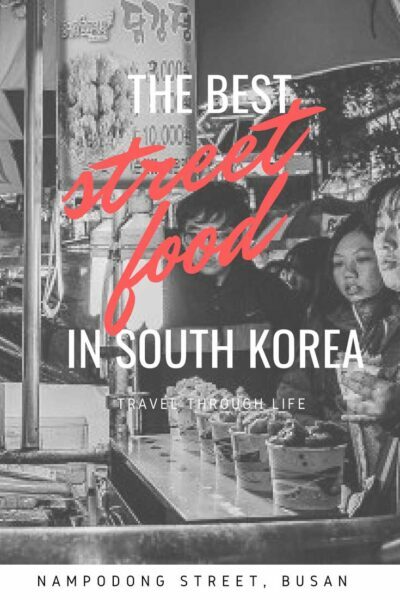 If you want to eat right on the streets of Korea, this is the perfect experience. Nampodong is where my own memories of Korean food will always begin and end. Just seeing all those awestruck faces eagerly fill their mouths, it’s hard to avoid digging in and buying as much food as you can. Taste runs like water in this district and walking around this awesome food stall town helps me understand just why it’s so special. Just about every city has them, and I’ve found that the options rarely stand out. Maybe it’s a case where the Korean palate has settled on the suitable street food experience. Go to Seoul or the other metropolitan areas and you’ll find something similar, but not exactly the same. For me, exploring Nampodong street food is one of the best things to do in Busan. Busan is a wonderful city and many people come here throughout much of the year. We’ve enjoyed this city in so many ways. Memories include a Templestay at Bemeosa, visiting Taejongdae, checking out the alluring Haedong Yonggungsa Temple, and hanging out at the city’s beautiful beaches, including Haeundae and Gwangalli. Crowds can hardly avoid this city throughout the year with year-round events and the country’s largest international film festival taking over in the fall. 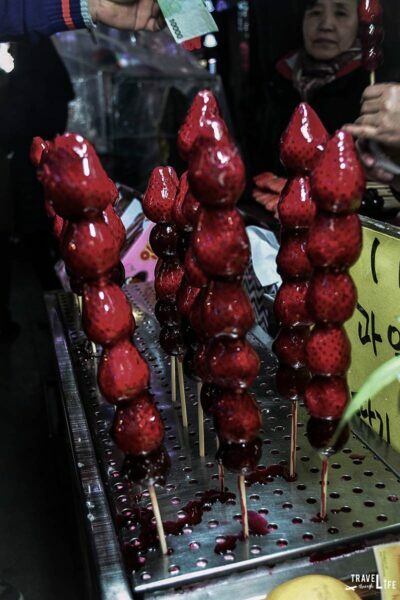 My favorite street food from Nampo-dong. You have captured the feeling of the food market perfect. I can smell the foods now and picture the market. Your making me homesick. It is true, when you stand there either buy your food or move on. 🙂 Great article thanks for sharing an amazing experience. I’ve definitely gotten a mixed bag with street food in Seoul. There are my favorite stalls I know and stop at whenever I pass them, and then there are the random ones that have left something to be desired. 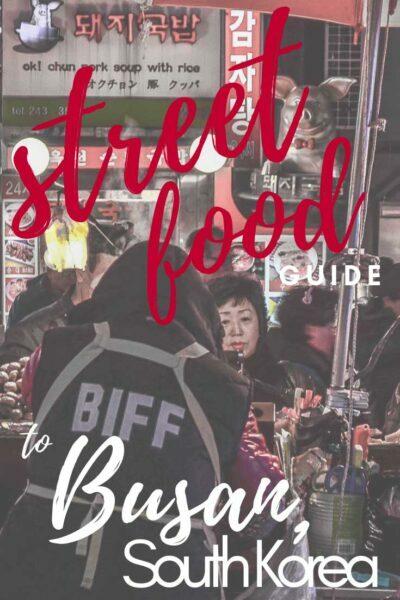 I can’t believe we didn’t even get street food when we were in Nampo-dong over Christmas! In my defense, I was seriously craving a hamburger. Haha, we must do what our tummies tell us! I never made it to this area when I was nearby, and I sincerely regret that now after reading this post. I’ll have to make the trek back for this reason. I haven’t found my love for Korean food yet, but I feel like I’ll definitely find it in Nampo. I love the Nampo area! It happens to have one of my great weaknesses! Delicious street hoddak! Busan is such a vibrant place with so many fun things to do and see. I also love this area for the trick eye museum and the street shopping area. So lovely! My mouth is officially watering right now! Thanks for commenting. It is tough sometimes to write about these places that have been well traveled by so many others. I hope you enjoy when you get to visit Nampo Dong and would love to hear your thoughts on it. Ah, this sounds like a neighborhood crafted to trap me. I’m such an impulsive person when it comes to food; I’d probably eat my way into a food coma as well! I miss Korean food so much, I might have to make a pilgrimage to Nampo-dong when I visit in the fall 🙂 Thanks! Oh man, those food streets are dangerous for you as well? So you’re coming back huh? When do you think you might be in Korea? 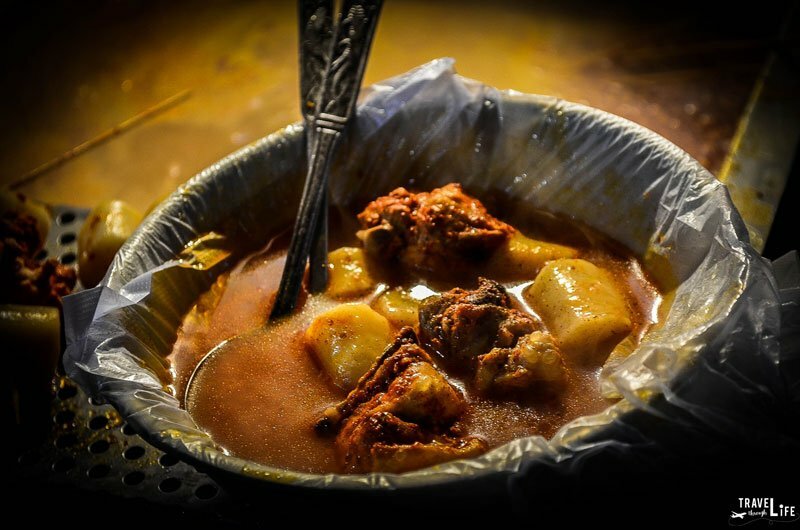 Street food…gotta love it. Cheap, delicious, and plentiful. Your pictures got me craving for some now. And in a place like Nampo, it can be dangerous since there seems to be an endless supply! Thanks for the comment, Matt! Did you ever spend much time in Nampo Dong? I can’t remember if you lived far from Busan or not. I remember you lived near the east coast. I wish you wrote more about the food, too! Your post has made me so curious about what other things they serve there and how it probably differs from food in Seoul. 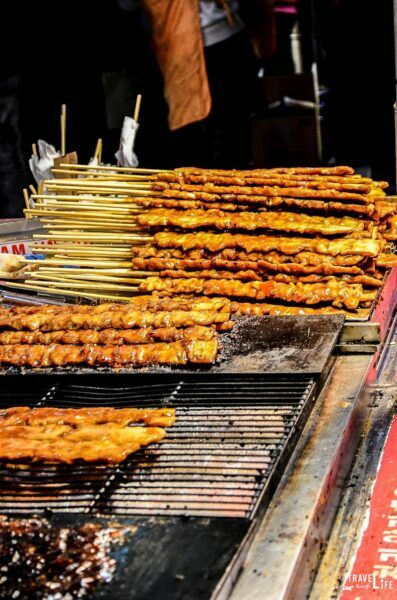 I love street food too, but I’ve sort of been banned from it ever since I got pregnant. I will definitely visit this place when my family goes to Busan. Thank you for commenting! I do write about food from time to time and will take your suggestion into consideration. Everyone loves food, huh? I’m not sure if it’s too terribly different from Seoul but I’d love to hear your thoughts about Nampo if you get a chance to visit. Three cheers for street food 🙂 I seriously would love to experience some place like Nampo. I’m afraid there are not to many culinary delights in hometown of Nampa. Funny what a difference one letter makes… haha. I love food! I wouldn’t be a true Filipino if I didn’t love to eat. I will definitely try to find this area the next time I find myself in Busan. 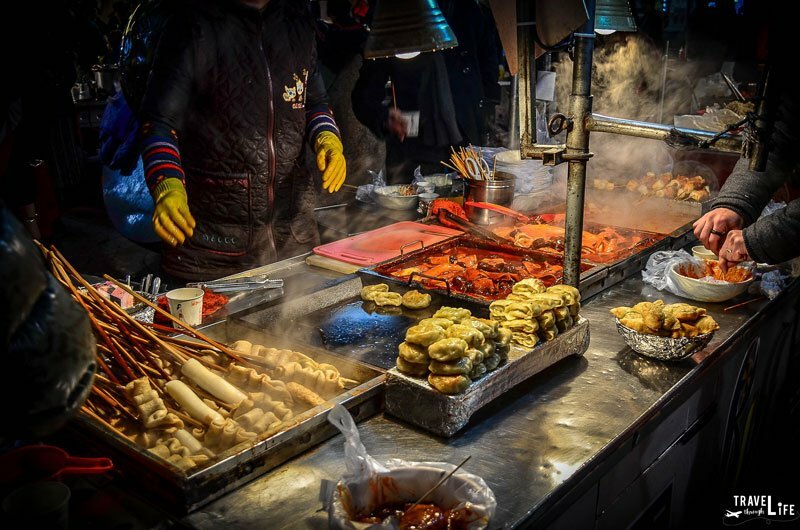 Street food is one of my favorites and Korea definitely has its share of delicious delicacies. Definitely go to Nampo Dong if you’re in Busan. I bet you’ll love it. Btw, do you know of any Filipino restaurants where you live? I feel like they’re pretty hard to find in Korea.